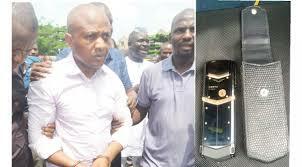 suit filed by embattled kidnapper boss, Chukwudumeme Onwamadike (a.k.a Evans), against the police over seizure of his property. Judge Mojisola Olatoregun held that the court came up short on the purview to engage the case. She said that the suit should have been filed before a Lagos State High Court where the candidate was dealing with indictments of kidnapping.